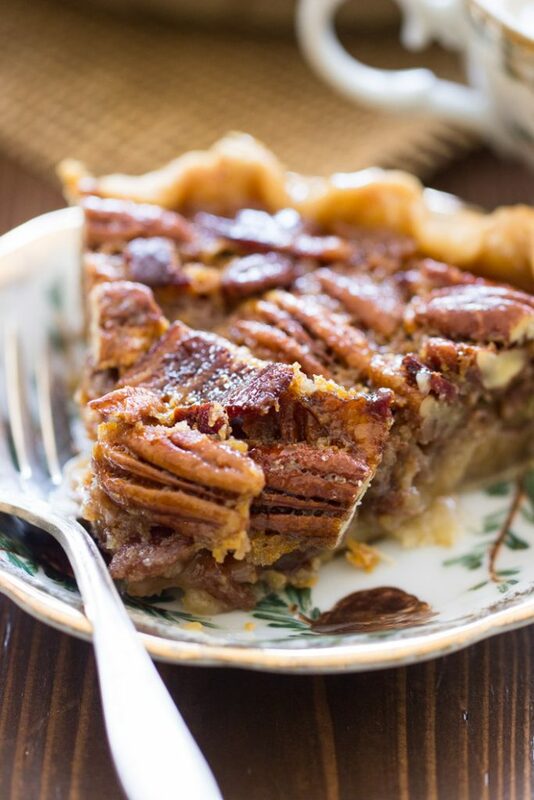 Looking for a new twist on a classic pecan pie? Booze always helps, and bacon never hurts. This Bourbon Bacon Pecan Pie is next level! 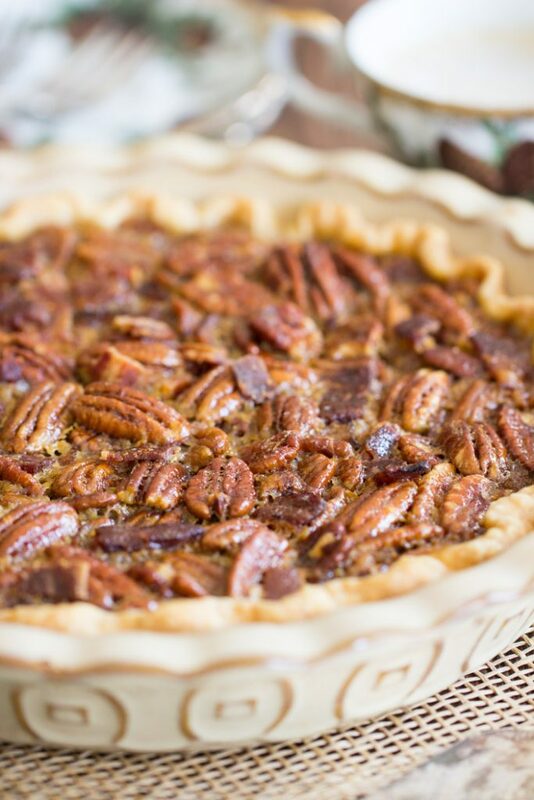 It’s hard to improve upon a traditional pecan pie, but this Bourbon Bacon Pecan Pie is a helluva way to do it! 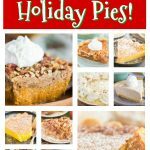 As I’m writing this, I have a pecan pie coming out of the oven, and another set to go right in. 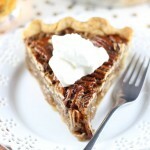 In addition to those two, I have two more pecan pie variations that I want to make before Thanksgiving. Update: I got a third one made, and I think I’m going to stop there. 🙂 So besides this Bourbon Bacon Pecan Pie, I have three more coming between now and Christmas. YAY. One problem. Pecan pies are messy AF to cut neat slices. I’m having major problems with neat slices. It helps to refrigerate them for a bit after they cool, but does anyone else have pecan pie-cutting issues? 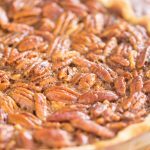 Anyway, there’s something about pecan pie that I find super inspiring – I never really run out of ideas for how to put a new spin on them. As it is, I’ve got a half dozen or so on the blog, and I am not out of ideas yet. 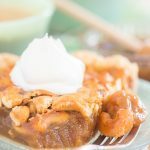 If you love pecan pie recipes as much as I do, and want to explore some different variations, check out this Brown Butter Bourbon Pecan Pie, this Chocolate Espresso Pecan Pie, this Dark Chocolate Molasses Pecan Pie, or this Orange Coconut Pecan Pie. Oh, and this Pecan Pie Cheesecake is bomb. Also, most of them are so easy – even fancy pecan pies are typically just a few ingredients. Almost always, the instructions are just to whisk everything together in a bowl, and pour it in the crust. 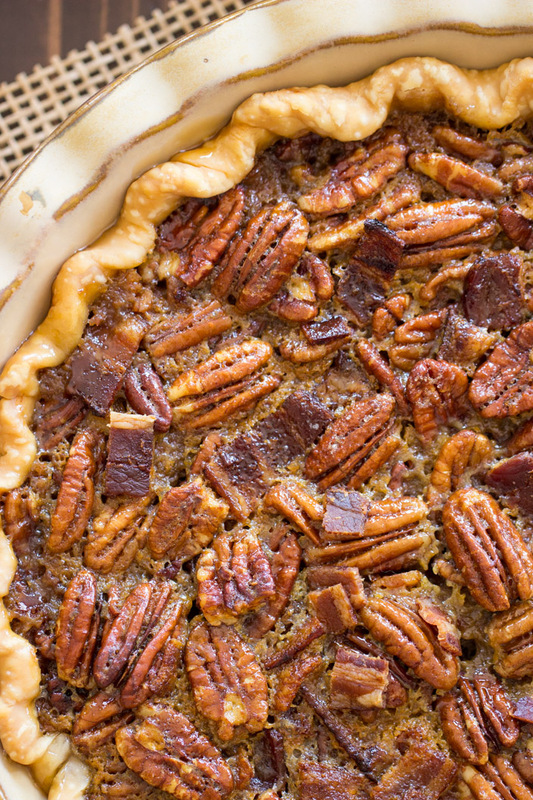 This Bourbon Bacon Pecan Pie is a rare exception to that. Go figure. But it’s not much more work – you just need to cook the bacon first. That’s it – promise. 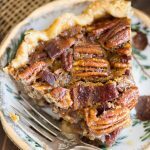 You’ll love that this pie has the same sweet, gooey, caramel-like filling that you get in classic pecan pies, but the bourbon gives it a special kick, and the crispy, salty bacon is a welcome contrast to the sweet, sticky filling! 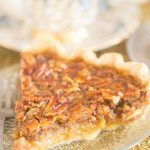 If you love pecan pie, but you want to try something a little outside the box, this Bourbon Bacon Pecan Pie is a great place to start! 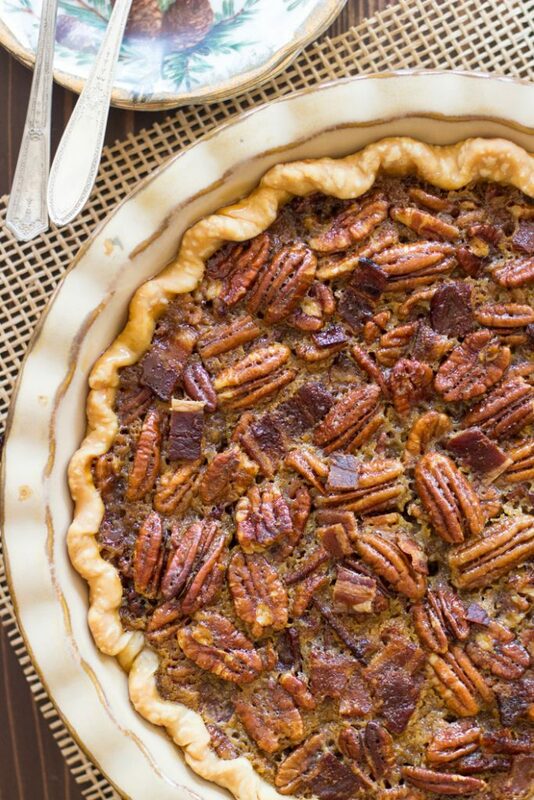 Looking for a new twist on a classic pecan pie? Booze always helps, and bacon never hurts. 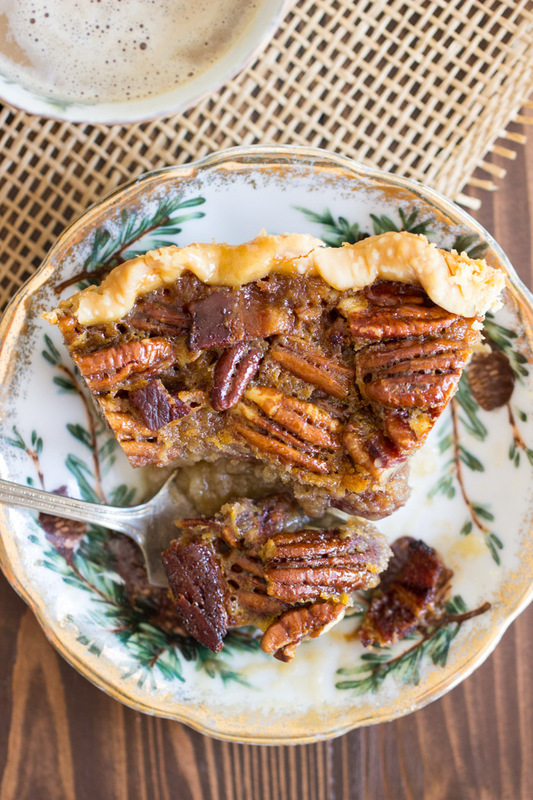 This Bourbon Bacon Pecan Pie is next level! 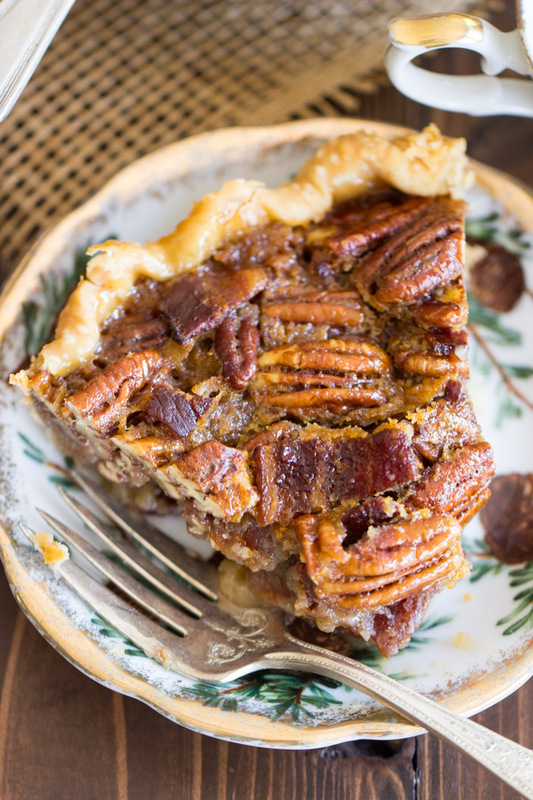 It's hard to improve upon a traditional pecan pie, but this Bourbon Bacon Pecan Pie is a helluva way to do it! Cook the bacon, and crumble into 1/4-inch pieces. In a large bowl, whisk together eggs, corn syrup, sugar, brown sugar, bourbon, and butter. Stir in pecans and bacon. Bake at 350 degrees for 45-50 min, or until the center doesn't jiggle, and appears set. Remove from heat to a wire rack to cool. Cut and serve. Definitely going to be on my Thanksgiving table! Who could resist? I made this for Thanksgiving. It was a huge hit! The bacon was a nice surprise. Great recipe! Thanks Sarah!